"The dark ship of sunset…” in "Hammer of the Gods Volume II: Ragnarok" - Anthology". And many thanks to very kind Michele "Bottomdweller" DUTCHER who edited the story and many thanks to very kind Mr. Gavin Chappell that accepted it for this Anthology, of course!!! "The Purification process…” in "Demons, Devils and the Denizens of Hell" - Anthology". And many thanks to very kind Michele "Bottomdweller" DUTCHER who edited the story and many thanks to very kind Mrs. Xtina Marie and Mrs. Susan P. Mattern that accepted it for this Anthology, of course!!! - "Evil paintings…” in "StarkLight 5"- Anthology. And many thanks to very kind Michele "Bottomdweller" DUTCHER who edited the story and many thanks to very kind Mr. Tony Stark that accepted it for this Anthology, of course!!!
" Icy ground, the only hope…” in "Beyond the Shroud" - Anthology". And many thanks to very kind Michele "Bottomdweller" DUTCHER who edited the story and many thanks to very kind Mrs. Cynthia Morrison that accepted it for this Anthology, of course!!! The kindle edition is already available, and the paperback edition will become available on 30th September. And many thanks to very kind Michele "Bottomdweller" DUTCHER who edited the story and many thanks to very kind Mr. C. P. Dunphey that accepted it for this Anthology, of course!!!
" 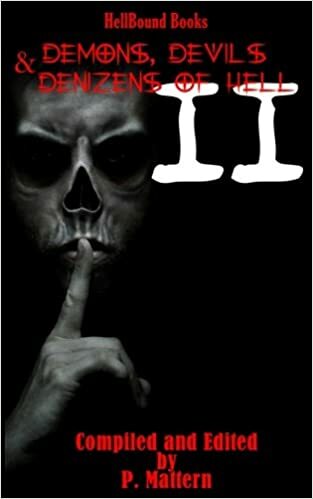 Dolls and Trolls...” in "Locker Shockers: Urban Legends- Anthology". 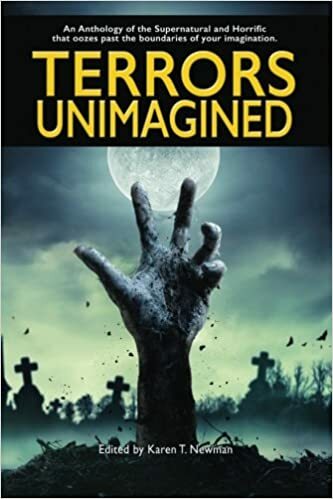 And many thanks to very kind Michele "Bottomdweller" DUTCHER who edited the story and many thanks to very kind Mrs. Cassie Carnage that accepted it for this Anthology, of course!!!
" Technological obsolescence...” in "THE DEVIL’S PIANO"- Anthology". "The Forbidden Energy of 1917…” in "Demons, Devils and the Denizens of Hell Volume 2" - Anthology". And many thanks to very kind Michele "Bottomdweller" DUTCHER who edited the story and many thanks to very kind Mrs. P. Mattern and Mr. James H Longmore that accepted it for this Anthology, of course!!! And many thanks to very kind Michele "Bottomdweller" DUTCHER who edited the story and many thanks to very kind Mrs. Sybil Wilen and Shawna Rand that accepted it for this Anthology, of course!!! 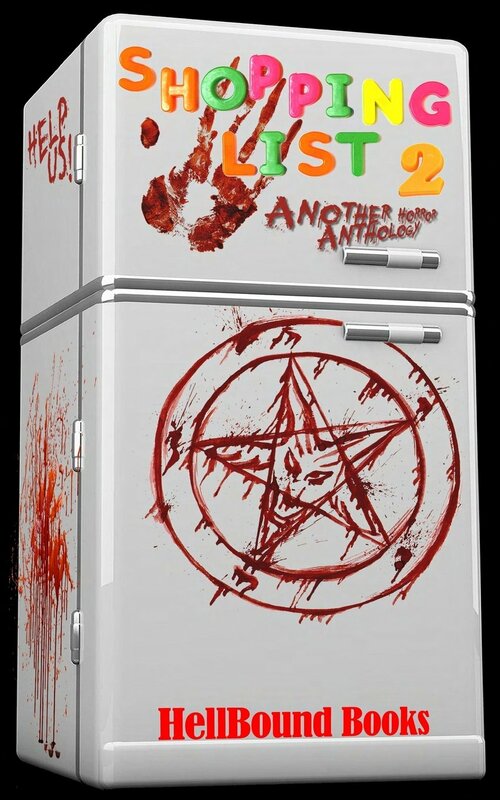 "Suicide Point…” in "Shopping List 2: Another Horror Anthology". "The Flaming Bomb…” in "CHEAPJACK PULP Magazine ( December 2017 issue)". And many thanks to very kind Michele "Bottomdweller" DUTCHER who edited the first draft of the story and many thanks to very kind Mr. John "DavidsonHero" Rose and to very kind Mr. Eddie Sullivan that accepted it for this Magazine, of course!!!
" Heavenly Duat...” in "HYPER-TOMB: CRYPT OF THE CYBER-MUMMY"- Anthology". And many thanks to very kind Michele "Bottomdweller" DUTCHER who edited the story and many thanks to very kind Mr. Alex S. Johnson that accepted it for this Anthology, of course!!!
" The Toy-Doll from Her Youth...” in "Suspense Unimagined"- Anthology". And many thanks to very kind Michele "Bottomdweller" DUTCHER who edited the story and many thanks to the very kind Editors of Left Hand Publishers that accepted it for this Anthology, of course!!!
" Sorcery is the body's pronunciation of the soul…” in "The Worlds of Science Fiction, Fantasy and Horror Vol IV"- Anthology". And many thanks to very kind Michele "Bottomdweller" DUTCHER who edited the story and many thanks to very kind Mr. Robert N. Stephenson that accepted it for this Anthology, of course!!! "The last of the mortals…” in "Steam-powered Dream Engines" - Anthology". This story has been written by me and my (unfortunately now dead) old friend Ernesto CANEPA, as it was mainly a very old idea of his that I completed and put on (electronic) paper with some modifications, after a very old boardgame session playing Snowdonia at my Club.. 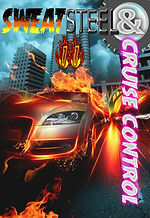 The GREAT cover and back-cover art is by author, and designer, John "DavidsonHero" Rose. And many thanks to very kind Michele "Bottomdweller" DUTCHER who edited the story, and all the others in this Anthology, and many thanks to very kind Mr. Gavin Chappell that supervised the selection process, anyway!!! Looks like it will be a fun book to read. Now that means I have to go out and find where I buried my gold coins. And then, if I can find them, I'll have to convert it to cash and then put it into a bank so I can apply for a credit card and then buy a copy. maybe ask random strangers to borrow their credit card. Anyway, looking forward to reading it.
" Tophet: An Ancient Evil" screenplay at "The 2018 International Horror Hotel"- Competition". It seems that the 2018 festival will feature over 100 films screening from around the world, film lectures and panel discussions, a convention/vendors room, live competitions, three networking parties, an award ceremony, and much more! This year's Horror Hotel will take place May 31-June 3 at Venue South @ The Days Inn & Suites in Richfield, Ohio - located at 4742 Brecksville Road. And many thanks to very kind Michele "Bottomdweller" DUTCHER who edited the screenplay and many thanks to the very kind managers of The International Horror Hotel Film Festival and Convention that accepted and liked that, of course!!! 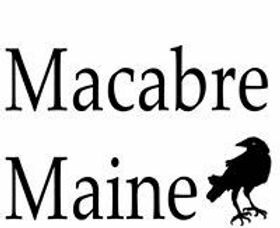 Ok, here is the full list of the winners for 2018 Edition, as posted online from the managers of the "The 2018 International Horror Hotel"- script Competition. And many thanks, of course, as usual, to very kind Michele "Bottomdweller" DUTCHER who edited the story and Mr. Gavin CHAPPELL who accepted it, of course!!! The cover illustration is Ufo Cosmos by Thomas Budach. Graphic design by Gavin Chappell, logo design by C. Priest Brumley.
" Saprobes of the Iron Belt…” in "Sweat, Steel & Cruise Control: Volume II" - Anthology". Last edited by ente per ente on June 08, 2018, 02:15:47 AM, edited 1 time in total. And many thanks, of course, as usual, to very kind Michele "Bottomdweller" DUTCHER who edited the story and Mr. Jeffrey L. Blehar who accepted it, of course!!! Here you can also have, on the right, a look at Lester_Curtis who received, as representative, the Honourable Mention the screenplay " Tophet: An Ancient Evil" got in June in Richfield, Ohio. Thank You Lester for being so kind to go there and attend the Award Ceremony, and I hope you had a great day there at the Horror Convention!!! And many thanks to very kind Michele "Bottomdweller" DUTCHER who edited the screenplay and many thanks to Mrs. Kristina Michelle and the very kind managers of The International Horror Hotel Film Festival and Convention , of course!!!
" The Toy-Doll from Her Youth...” in "Terrors Unimagined"- Anthology". And many thanks to very kind Michele "Bottomdweller" DUTCHER who edited the story and many thanks to very kind Mrs. Karen T. Newman and all the other Editors of Left Hand Publishers that accepted it for this Anthology, of course!! !